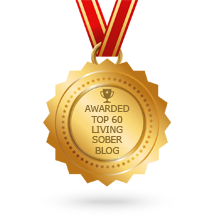 Believe me, I know firsthand, how hard it is to accept that you cannot drink safely, that your mind has wrapped itself around alcohol to a point of neurosis, and your body just cannot do a single day without it! I know! And yet, I spent many years doing everything in my power to prove that I did not have a problem because I could not fathom the idea of not being able to drink, for the rest of my life! I thought that THIS was the worst thing that had ever, ever happened to me – absolutely, most definitely, the most horrible, unthinkable thing!! But guess what? It was not. 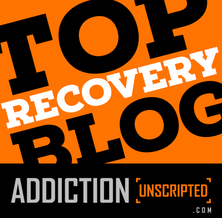 There are many, many things that are way worse than not drinking for the rest of your life…. seriously, think about it! But control is such a demon and a liar. When I was drinking and was able not to get slobbery drunk, I felt like I was in total control, and it made me happy. It gave me the sense of accomplishment and I thought it proved that I did not have a problem. But when I did get slobbery drunk, with no intentions to do so (which was more often than not,) I would tell myself that I just needed to try harder to control it, and I immediately thought of new and improved ways to regulate my drinking. I was completely determined, for a very long time, that I could control my disease! I tried in so many ways: I told myself I will just have one (all the time!!! ), I would try to only drink at home, I would only have two when out, I switched to only drinking wine, I stopped doing shots, I never drank liquor, I ate more food, I drank slower, I drank every other day, and on and on! You name it, I tried it. Sometimes, I went to many extremes by actually counting, measuring and timing my drinking! Occasionally it worked and I did not get wasted, but eventually, it would fail and I would get completely wasted and way more than I had ever intended too, only waking up and thinking what the hell just happened – why did that not work! Yet, a few hours later, I was ready to try again. This super controlling game consumed huge amounts of time and patients. The more I tried to control my drinking the more things would actually get out of control. It was a crazy, viscous, uncontrollable cycle! The thing about control is that when we get to control things, and things go our way, we tend to feel good, secure and well… in control. But when things do not go our way, we tend to beat ourselves up for failing, and then try to control everything even more! But control is really an illusion. It masks itself as care, commitment, security and accomplishment. Yet, most of the time it causes resentments, frustration, and rejection. Getting past the idea that we can still at some point control our drinking and return to drinking like normal people can be relentless. It is both the things we do as well as things we think that hold us inadvertently in this place of denial. It is easier to shift behaviors, once you pause to consider them. So I suggest, that you make a list of good and bad reasons why you should continue drinking. Also keep a journal of how many times you tried to control it and failed. AND maybe a list of things that happened because you were drinking. If you were anything like me your bad side of the list might be much longer than the good. Letting go and accepting is hard, no doubt. Letting go means something has to open in your mind and in your heart, but this change, that easing, comes up against our own incredible, often relentless resistance. More intricately, getting beyond these feelings is a psychological high-wire act of letting go, of reevaluating experiences and relinquishing old ideas, of discarding cherished but mistaken beliefs, of delicately but deeply re-calibrating thoughts and feelings. A great deal of that resistance comes from nothing more ordinary than the great human hesitancy to change. Even change for the better is still change, and change is often initially dreaded and avoided. This is the key to quitting drinking – to stop trying to fight it into submission, to stop trying to control it to no ends, to stop trying to wish it away – but instead, accept it – fully, truly and entirely – that you cannot. Then and only then – by letting it go, by giving up the fight, by admitting that you cannot control it, in any way shape or form, and finally recognizing that IT IS JUST NOT WORKING ANY MORE – you will be able to move forward, towards a solution which is sobriety and recovery! Happy 3 Years of Sober Courage! Great piece, thanks for sharing. It’s such a great feeling when we are in control and we don’t feel the urge to drink. Acceptance is the first step as you said. True. There is lots of I internal crap that needs to be thrown out! Great piece! I am just now escaping the phase where I tried to control the drinking by switching drinks, putting restrictions on when or where I would drink, etc. The constant negotiating inside my brain to not really quit is my biggest challenge. It helps to know others go through the same thing. Cheers!